My work is based on fractal forms—the shapes created by ongoing interactions, such as the branching of plants to catch the sunlight, the convoluted unfurling of clouds, the formation and fracturing of mountains from the forces within the earth. Because of the non-linear, reflexive nature of physical processes, they tend to create spiral forms. 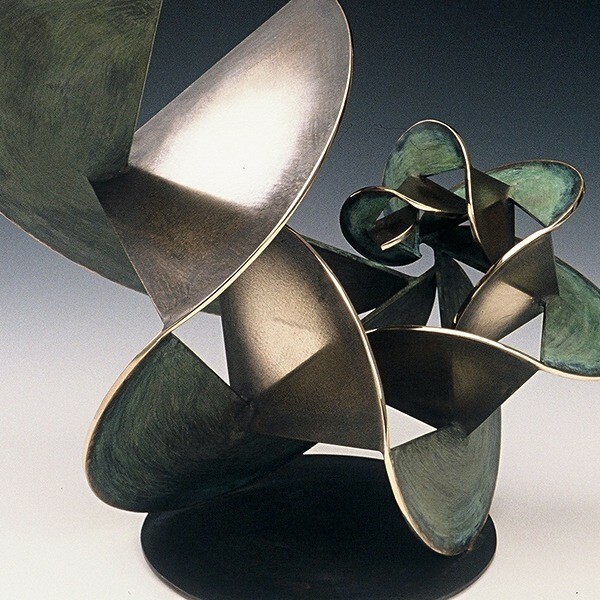 My sculptures all contain spirals that, instead of illustrating any specific phenomenon, grow in the same reflexive manner as real complex systems.